There’s life after retirement. A lot of it. That’s why it’s important to have a plan for creating a safety net of investments that are independent of company pensions. Along with a healthy portfolio including sound investment strategies such as real estate (the favorite of Jason Hartman), one avenue for generating retirement income is to join the newest trend in self-employment — becoming an information entrepreneur, or infopreneur. 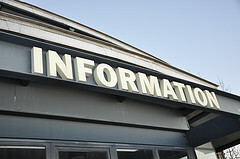 In today’s world, information reigns. And former first responders have a wealth of experience and expertise in crisis management, emergency medical care and countless other essential areas of personal safety and health – information people need to keep themselves and their families safe. Your authority and expertise can not only help others, but also, with an investment of less than $100, generate a new retirement income stream. People want information on how to stay safe and take care of themselves and their families in emergencies. Consider writing an e-book, or a series of them, to offer your first-hand, expert knowledge of stopping crime, defusing a crisis, or managing an emergency situation. You can sell information products directly from your own website, publish them yourself through platforms such as Amazon Kindle, or partner with an affiliate program such as Clickbank to get others to help you sell your work. Share expertise through a blog, video or podcast. Free tools like blogs, videos and podcasting can help you reach readers looking for information that can keep them and their families safe and secure. A weekly blog or newsletter with safety tips, videos posted to YouTube or other video sites, or a regular podcast featuring tips, alerts and other timely information can help establish you as a credible, accessible source of legitimate knowledge and expertise about your subject. Online course tools make it easy to create a workshop, webinar or full course on a topic in your area of expertise. Online courses can complement your sales of e-books and other information products and help grow a community of followers around you as an authority in your area. You may also want to use these platforms to offer services such as consulting or giving presentations and talks in your community. Becoming an infopreneur requires a small investment compared to the startup costs of a new brick and mortar business. It’s possible to get a blog or basic website for free. Add in domain name registration and other bells and whistles appropriate to your enterprise such as online shopping cart technology or email software, and the overall layout for a basic information hub will probably still remain below $100. As your business grows, you may want to invest in other, more specialized, tools for getting your information products and services seen by a larger audience.